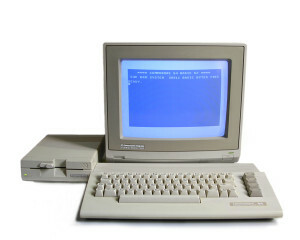 Around 1984 a friend of my had a commodore 64 at home. This was love at first sight for me, and I started to save money so I could buy one for my self. This took some time as I was only 9 back then, and after a year saving my money I didn’t buy a Commodore but a ZX Spectrum (second hand), as it was more cheaper. 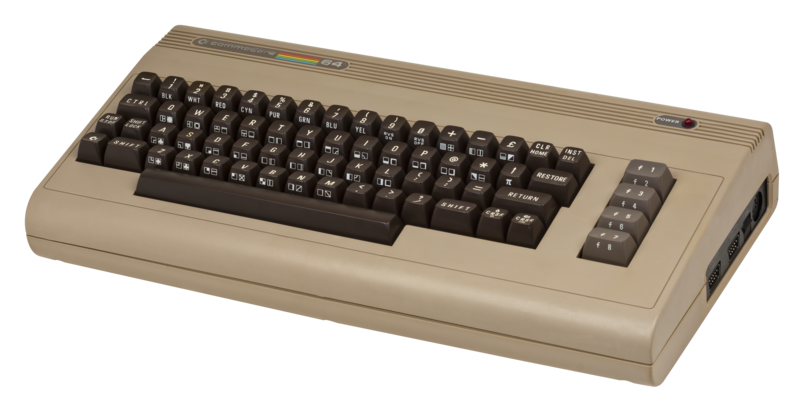 I had a good time with the ZX Spectrum, but the love for the Commodore 64 was not gone. I didn’t had to use this tape deck for long, as I soon got a 1541 II drive as a pressent from my grandma, and a Final Cartridge III was soon added to my collection. The Commodore 64 I bought came with a defect, but I noticed it to late. I used it with a old black and with tv, and I thought that was the reason I didn’t see some things. The VIC chip only showed some color in black, resulting in a Jumpman Junior with invisible bombs. They should be brown on a black background, but for me they were black on a black background adding some extra difficulties to the game :-). 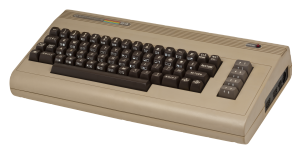 I did some simple mods on my C64, like a reset switch, a pauze switch (connecting NMI to GND). I also tried to hack some games, but didn’t find many hacks (I managed to find the routines that showed the different stages of the girls in strip poker with some pokes and sys commands ;-). An early C64 motherboard (Rev A PAL 1982). A C64C motherboard (“C64E” Rev B PAL 1992).